I want to share with you how I plan for a typical home school year. You may find some of the ideas I share helpful. If so, I’m glad to help! First, I go to http://donnayoung.org/calendars/vertical-monthly-calendar.htm and print the calendars I will use for the year(pictured below). I typically have 165 days in my school year. I live in a state that does not mandate how many days we are to have school, so you may want to check your state’s laws first. Next, I go through the calendar marking any known days off, like the girls’ birthdays if they fall on a school day, Easter, Christmas break, etc. (One special treat I do for the girls is give them their birthday off and they get to choose what to do that day, within reason!). Next I decide what day to start school. It is generally the day after Labor Day. I also choose a target date to finish for the year. It used to be around the second week of June but this last year I was able to make it the end of May. Last year the girls wanted to end even earlier so they worked harder to get done a few days before the target date! 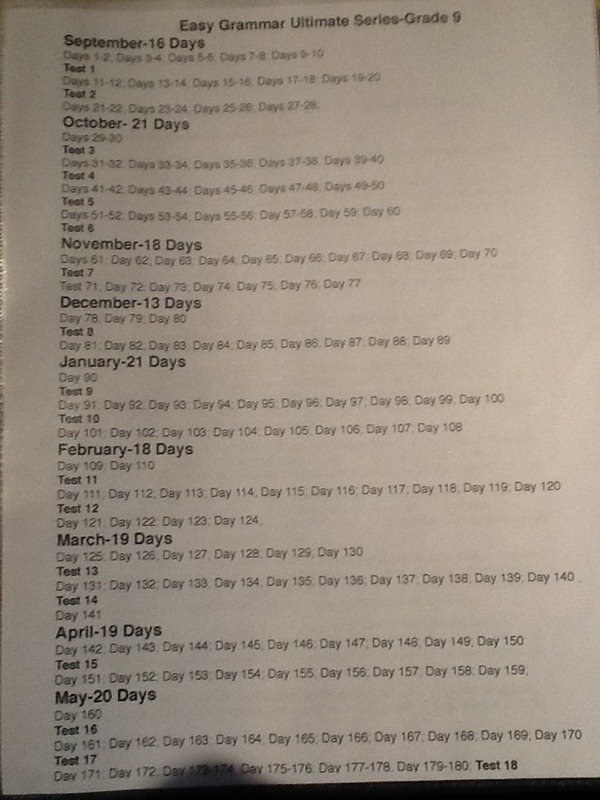 Next, I count how many days I have left on the calendar from my start date to my end date. I deduct 165 days from the amount I counted and the leftover days will be our days off. I split the days up among the months, which usually ends up being about 2-3 days off per month.. For example: From the start to the end date was 189 days. I deducted 165 from 189 and totaled 24 days leftover. 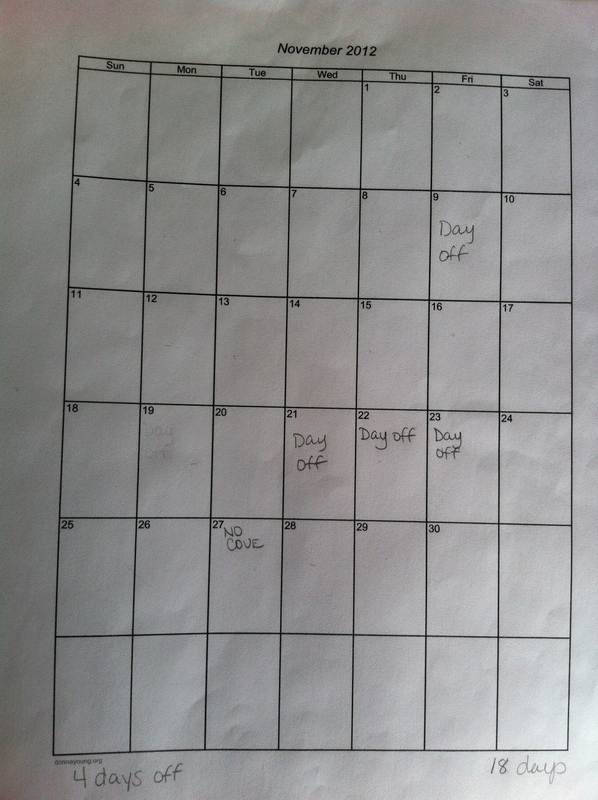 I split those days up into our 9 months of school, which gave us about 2-3 days off per month. I don’t actually choose the days off for each month until I am lesson planning for that month; that way I can choose the best day for us according to what we have going on. For example: for the month of November we celebrate two birthdays. My oldest loves horses and there is a horse show so we took a day off to go to that. My other daughter, whose birthday is November, is in The Nutcracker downtown and her dress rehearsal is the Wednesday before Thanksgiving. We took the day off so we do not have to rush school to get there on time. 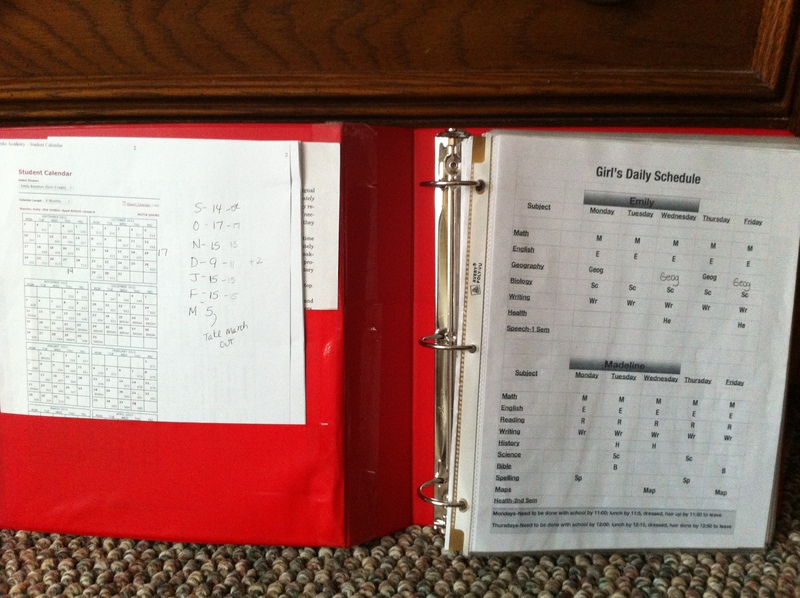 After I have my master calendar done I start planning each girl’s individual lesson plans. 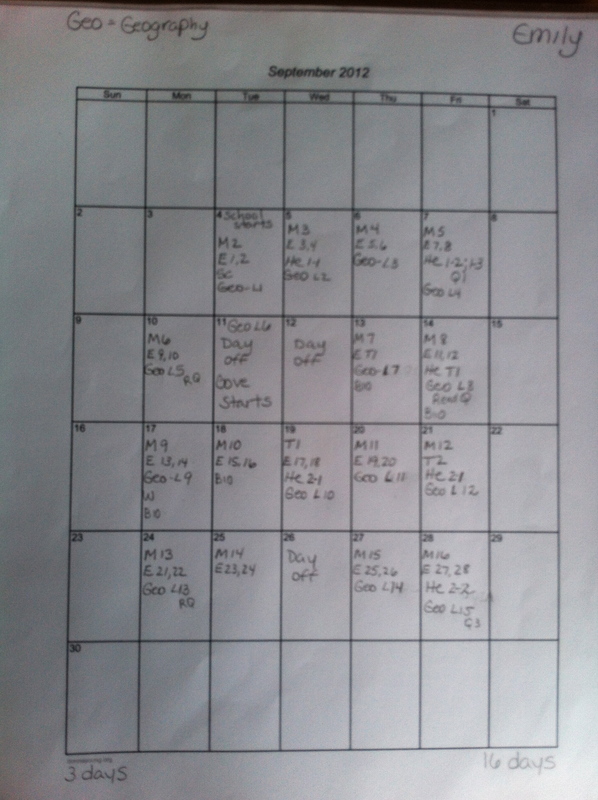 I use the same calendar template and mark all the days off, how many working days of school per month, how many days off and then start working on their individual subjects (work in pencil for when you have to erase a lot like me!! :)). I then mark their calendars like this: . ‘M’ stands for Math; ‘Sc‘ for Science; ‘He’ for Health; ‘Geo’ for Geography; ‘Bio’ for Biology; ‘E’ for English; ‘Wr’ for Writing (They know what each of these stand for). I only do one month at a time, in case we get behind in a subject or two so I won’t have to erase and change the lesson we are on. After I get each girl’s monthly calendar done I put them in an 1 1/2 inch binder and separate them by the ‘Write-on tab dividers’ I get from Walmart. I put my master calendar first and then separate the girls from oldest to youngest. Next I copy any answer keys I may find helpful to have close by and put them in the binder, separating them by name of subject or book title. This year I went the extra mile and copied most of my answer keys and put them in there so I didn’t have to search for the book to grade the paper or test. It is all alphabetized in my binder. I also had a couple of the kids’ subjects that I needed to figure out how many lessons they had to do each day, for example: My 9th grader is doing the ‘Easy Grammar Ultimate Series-Grade 9‘ which is 180 lessons along with 18 tests. 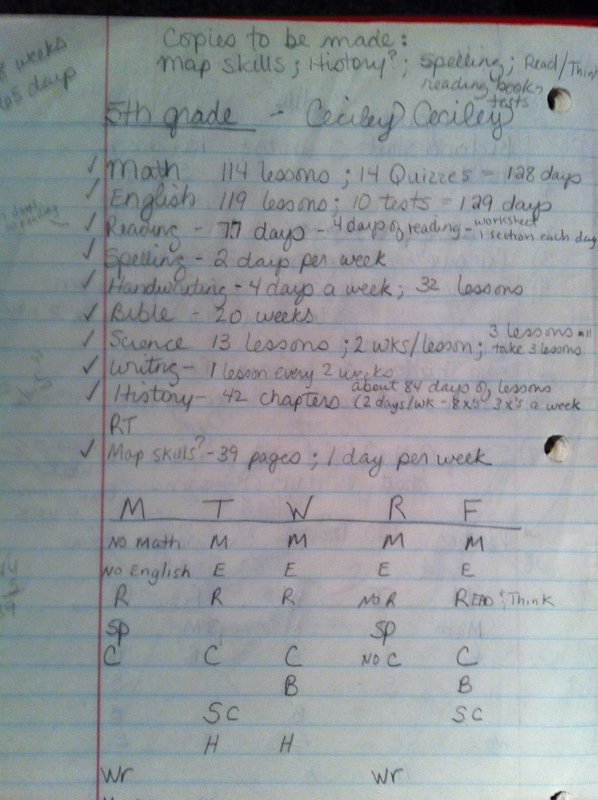 I figured out how many lessons per day she had to do to get done in 165 days. She doubled up on lessons for about two months, which was not a big deal because they are pretty simple and fast. So, I typed out each month and how many days of school per month we have and how many lessons and tests she has each month. I then place any information or calendars in my binder from our co-op for any classes they are taking, just to have it handy. After that, I am finished! I use it daily and monthly to work on lesson plans. I give individual instructions or lessons per subject. All the girls have to do is open their planner up to the date and see exactly what needs to be done. They mark it off as they get done. I have two bookshelves in my living room and on one shelf I have a five slot paper tray where they put in any folder or paper that needs checked or graded. My goal is to have it cleared out by Friday. If it is a test I have graded I will normally put it in the 5th slot and will eventually get around to marking the grades into my grade book I have designed on my computer. 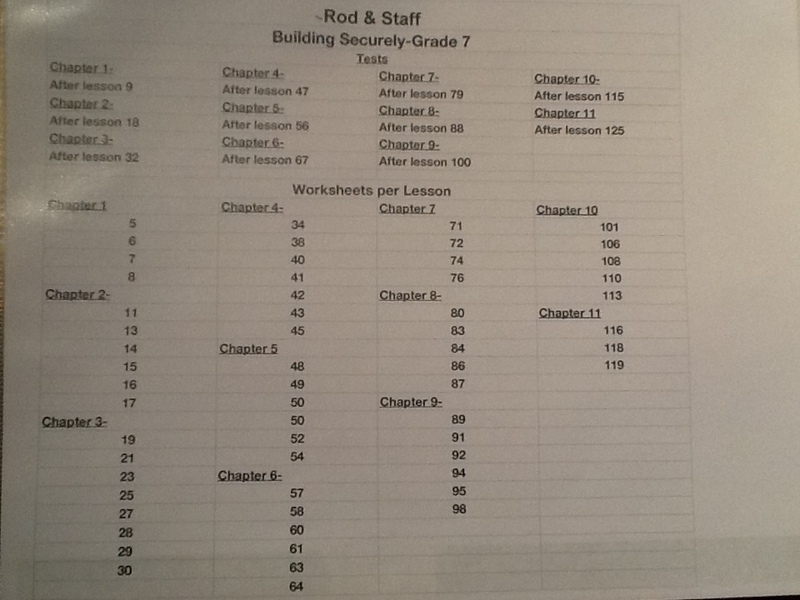 I have an example of my grade book under the ‘Charts’ tab. Like I said, I love charts to help me keep organized! It only takes me about 45 minutes to work on two weeks worth of individual lesson plans for my four girls daily planner because of the extra mile I went before school started of figuring out how many lesson, tests and extras that need to be done. If you ever have any questions, comments or suggestions, please feel free to leave a comment. If you would like to share this, you are welcome to. You can pin it to Pinterest or Facebook. My hope is that it will help someone, even a little, to organize their home school day and year just a bit more! Have a great home school year! Over the summer I take all the curriculum I bought or accumulated and start planning the school year out. This is a part that I enjoy! First, I figure out how many days and weeks we will have school, which is typically 165 days/38 weeks (Check out ‘How to Plan for Your Home School Year’ article I wrote) Next, I take all the books and separate them into a pile for each girl. 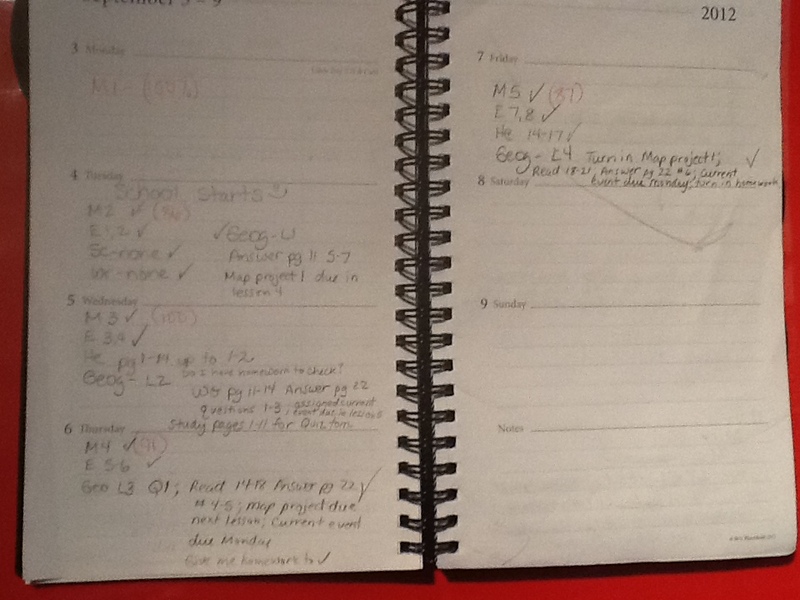 I take paper, one page for each girl, and the books and write how many lessons and tests each have. I even marked on the bottom of the chart what time we need to finish with school and lunch on Monday and Thursday to get to ballet on time! That way I don’t have to keep wondering what time we have to leave, etc. As school starts and we go along, subjects will get tweaked a bit to work better for our school week. I may change one subject to another day or add another day to it. Tweaks to make it a more rounded week. 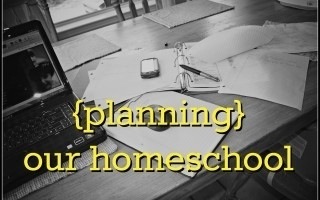 When I get the schedule where it looks like it will work for everyone, I then use it to plan my monthly schedule, which you will find information about in my other post of home school planning. I put a copy of it on my computer desk so we can refer to it during the day and I place a copy of it in my binder, on the first page to use during my monthly lesson plans. If you have any questions on how I did something or need further help, please send me a comment and I will get back to you. 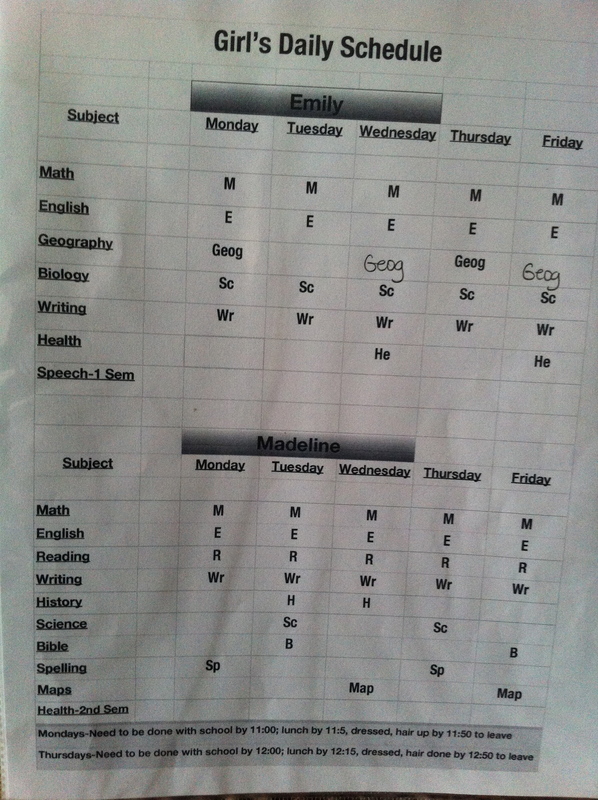 I posted another article on ‘How to Plan Your Home School Year’ so check it out. It has more information and pictures. If you have any suggestions or if this helped in any way, please let me know! I hope this was helpful to you in planning for a successful school year! Thanks for taking time out to read this! Please consider joining my blog. I enjoy posting daily recipes and will be working on a blog about making a coupon binder in the next few weeks. Also, feel free to pin this article on your Pinterest site or forward any information to whomever you think it might help. I found you on Pinterest and I just wanted to thank you for this VERY helpful guide. I haven’t seen anything this detailed about planning our home school calendar, and your step-by-step descriptions are a huge help. As a newbie, it’s exactly the practical advice I’m looking for. I will re-pin, and I look forward to reading more on your blog! Hi Mary! I’m so glad it was helpful! I have been on a year sabbatical writing on my blog! I hope to be back on it soon!